PhD funding opportunities at SHU! A round-up of my Radio Sheffield April appearances. If I remember, I’ll try and do this more often, but don’t hold me to it! This month in our regular TV slot on 17 April (appx 1h in), Paulette Edwards and I discussed Game of Thrones s8, Trust Me s2, Line of Duty s5, Glow Up, The Victim, Back to Life and more. Join us on May 14 at 11am for our next catch-up. In our film slot on 3 April (appx 1h in) we discussed films including Captain Marvel, Pet Sematary, Shazam!, Fisherman’s Friends, and What Men Want. Join us again at 11am on 3 May when we’ll be discussing Avengers: Endgame amongst the rest of the new releases. I road-tested the new Screen-X facility at Cineworld Sheffield for Howie Pressman on 5 April (appx 40 mins in). Spoiler alert: it’s better than 4DX (bleeee) but I won’t be rushing out to see more films in that format. And Rony Robinson and I discussed the Fleabag finale on April 10. 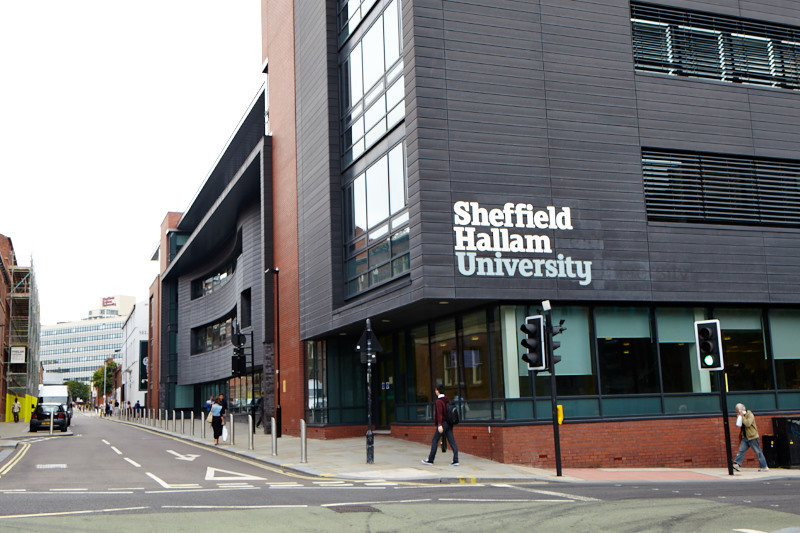 We currently have funded PhD opportunities at Sheffield Hallam and are looking for applicants! Places are available across the majority of disciplines, but we’re also keen for people to apply in media, communication and related areas. The deadline is 29 April. Two of my current PhD students were recruited through this scheme and across the university there have been several places awarded in the last few years. I’m personally interested in supervising projects relating to media representation, television, social media, celebrity, religion or gender but between the team we cover most areas so do have a look at our application guidelines at the links provided and get in touch if you have queries! I’ve also been part of the team developing a new MA in Global Media and Communication, which we launch in September. This course is especially aimed at people who want to go into research-related careers and we’re excited to add it to our existing portfolio of courses – more details to come, but we have an open evening on Wed 22 May for all PG courses at SHU if you want to know more. Apologies for the super-long radio silence! Since I injured my arms and had to start using voice software for everything, blogging and Twitter kind of slip down the priority list. Anyway-a quick update for you on where I’m at with work and research activities. Last year I was made a Reader in Media and Communication here at SHU, in a sideways move from my previous role as a programme leader. Currently, my main activities in this role (other than my own research and sitting on the research centre’s standing committee) are work in ethics reviewing and continue presence on the ethics committee as well as involvement with a range of activities relating to research students. Teaching-wise, I remain as module leader for undergraduate modules in media audiences (level 4), media, identities and representations (level 5) and celebrity culture (level 5/6). Media-wise, I’m now a regular contributor to BBC Radio Sheffield on matters relating to media and film – I’m in there approximately once a month and it’s a lot of fun working with the team. My next appearance is on the lovely Paulette Edwards’ show on Fri April 27, around midday, should you want to tune in! I’m still a theatre critic over at Broadway World, and I also recently did some filming for a Duran Duran fan documentary, details TBC, but the filmmakers asked me some of the most interesting and tricky questions I’ve ever had an interview! Lucy Bennett and I will be in conversation next week on Henry Jenkins’ blog as part of a series of reflections from scholars around the world on the state of fan studies. I will try to put something more up about this next week. It’s been really exciting to be involved in and Lucy and I had some really interesting exchanges back and forth so I hope it’s an interesting read for you. I’ve certainly been enjoying reading all the other contributions so far. I also have several chapters about to be published imminently. I have a chapter on ethics in fan studies In Paul Booth’s edited collection A Companion to Media Fandom and Fan Studies (Wiley). Along with Stuart Bell, I have a chapter on the EastEnders 30th anniversary events in Everybody Hurts: Endings, Transitions and Resurrections in Fandom, edited by Rebecca Williams (University of Iowa press) and one on ‘safer spaces’ in the Routledge Handbook of Radical Politics (edited by Uri Gordon and Ruth Kinna). Conference-wise, my next date is Celebrity Studies in Rome in June, where I’ll be presenting on ‘clergy as celebrity’, looking at the likes of Richard Coles and Kate Bottley as well as other crossovers between the worlds of religious leadership and celebrity. I also have some work on YouTube celebrity with Kathryn Murphy that is currently in the process of submissions and reviews, so watch this space for details, and a few more things in progress on topics including gender and fan studies, religion and television, reality television and soap opera. I’ve also gone on a mad updating spree, so you can download papers and presentations at Academia.edu and ResearchGate! Seeing Fans, edited by Lucy Bennett and Paul Booth, is available now from Bloomsbury Academic (at extortionate monies, so beg your library). I have a chapter in this collection looking at the representation of mature female fans of male singers (e.g. Rod Stuart, Daniel O’Donnell) are betrayed in local and national newspapers. The collection itself is great-a real mixture of academic and industry insights into how fans are portrayed in different contexts. A few weeks ago, I presented a paper at the celebrity studies conference in Amsterdam, written with Kathryn Murphy, one of my research students. In this paper we looked at newspaper representations of YouTube star Zoella. You can access the slides here. We are also presenting at the YouTube conference in Middlesex in September looking at how mainstream media are portraying YouTube stars. I’ve also got an article available in Celebrity Studies on the ‘fame cycle’ and celebrity reality television, and this summer I’m completing work on ethics in fan studies and safe spaces in higher education as well as continuing work on gaming audiences and their relationship to corporations. I was a contributor to last week’s Artsnight on BBC Two. 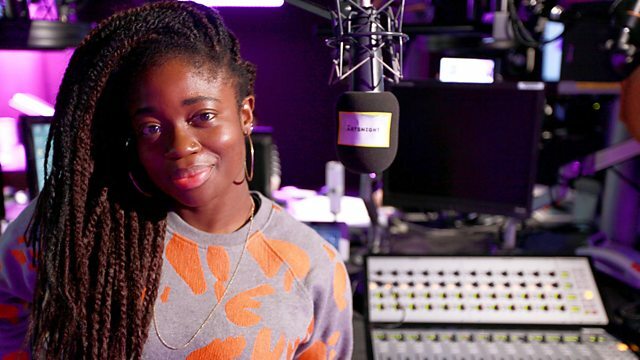 Curated by Clara Amfo, it looked at fame from a variety of angles – managers, fans, artists, journalists – a really interesting programme if you’re interested in celebrity in its various forms, and it was great to be part of it. (Plus special thanks to the two SHU students who patiently let us eat up a few minutes of the time they had booked in the library while we finished if you’re reading!) It’s available here for another 3-and-a-bit weeks if you want to catch it. It has been a long time since I updated, and with good reason – I have two injured arms (ask me if you see me and I’ll tell you the story although most people I know have heard it many times by now!) 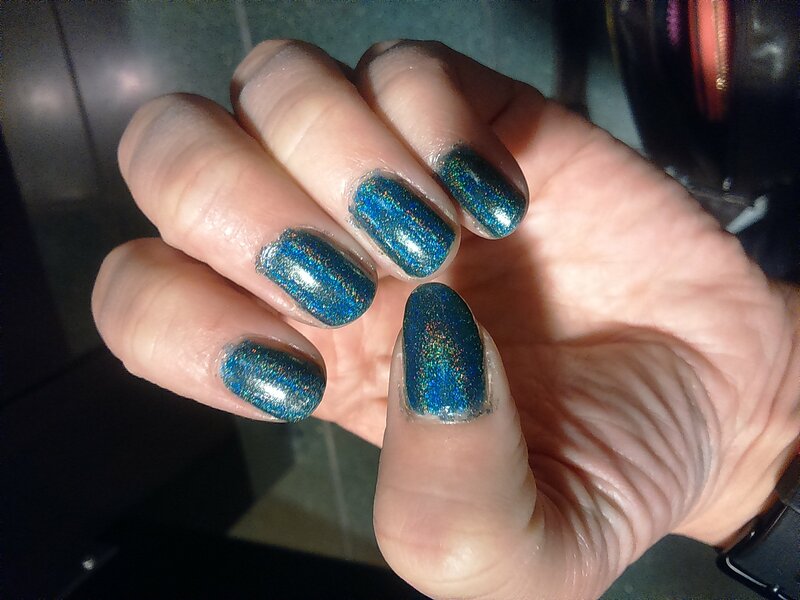 and this has been limiting my ability to type, use computers, read etc somewhat. Perfect for an academic, right? Anyway, I will be adding my thoughts on IR16 which was in Phoenix just over a week ago, where I was part of a team involved in a whole stream of stuff on social justice – in broad terms – but I’ll tell you all about that soon. Just adding an update because I discovered there’s been some Tumblr sharing of some stuff I said in an interview a couple of years ago about 1D fans – and young female fans in general – and it’s nice to see fans finding out that there are people – including the journalist who wrote the article – who are supportive of them and understand them when they feel they’re getting kicked. So if any of you are reading this, hello! 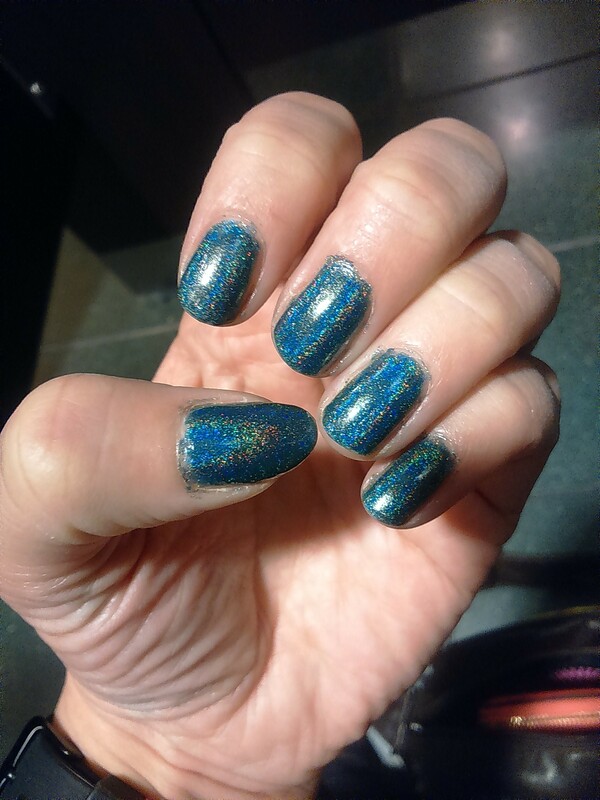 The picture on this post is of my nails because nail polish is one of the things I’m a massive fan of myself (in the spirit of fan solidarity and all that) and I’m too tired to find anything else! And for those interested in my fan studies stuff, I just recorded another TV interview about fans of (female) celebrities. I hope the edit is sensitive – I know there was one part where they were trying to look at the ‘darker’ side of fandom and my point was that collective action, whether for ‘good’ or ‘ill’ is not something that fans or the internet invented and so we can’t look to them as scapegoats for the nastier sides of human nature… anyway, if it doesn’t end up coming across that way… Trust me, I wasn’t cynical about fans – or even about celebrities – so we’ll see what makes the cut. I’ll alert people when it’s coming out, fortunately it’s for something pretty niche rather than a ‘tabloid’ type show, and the production team were lovely and seem to be on the same wavelength, so fingers crossed! The Selfie Researchers Network has been running for just over a year, and members of it have just contributed to a special section, edited by Nancy Baym and Terri Senft, in the latest issue of the International Journal of Communication (vol 9). Articles look at funeral selfies, selfies in different cultures, selfies and politics and much more. My own contribution (written with Shane Tilton) compares the #nomakeupselfie and #thumbsupforstephen selfie campaigns and explores how they were portrayed very differently in wider media – but don’t just read ours, there’s a whole heap of interesting stuff in the issue – and it’s all open access! The current issue of the International Journal of Cultural Studies (May 2015: 18 (3)) is the one that Feona Attwood and I guest-edited on Moments of Transformation – it’s been available for a while via OnlineFirst but now it’s out ‘for real’. The collection comprises a range of short and long pieces on different ways of thinking about aspects of makeover and transformation, from the changing taglines of social media sites to the use of YouTube by trans* vloggers. My own paper looks at the trend of the mid-late 00s and early 10s to combine reality TV makeover formats and religious/spiritual programming – the likes of The Monastery, Make Me a Muslim etc. Researching Fifty Shades – the film edition! In 2013, I co-edited an issue of Sexualities journal with Sarah Taylor-Harman and Bethan Jones about the Fifty Shades book series. My own contribution was a paper written with Clarissa Smith exploring reader responses to the novels. Well, unless you’ve been living in a cave, you’ll have noticed a certain film adaptation was released last weekend, and so we’re all back on the case! Sarah has put out a call for papers for a special issue of Intensities journal on the phenomenon, and Clarissa and I (along with Lynne Hall and Sarah Tazzyman) are now interested in viewers of the film. If you’ve seen it, please complete the survey. I’ll also be speaking about Fifty Shades and reader responses to the novels at the Science Museum Lates next week if you happen to be in That London. 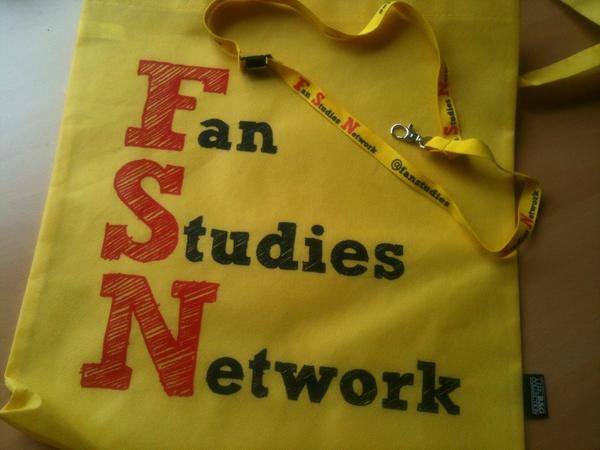 This weekend I was down in London for the second annual Fan Studies Network conference. 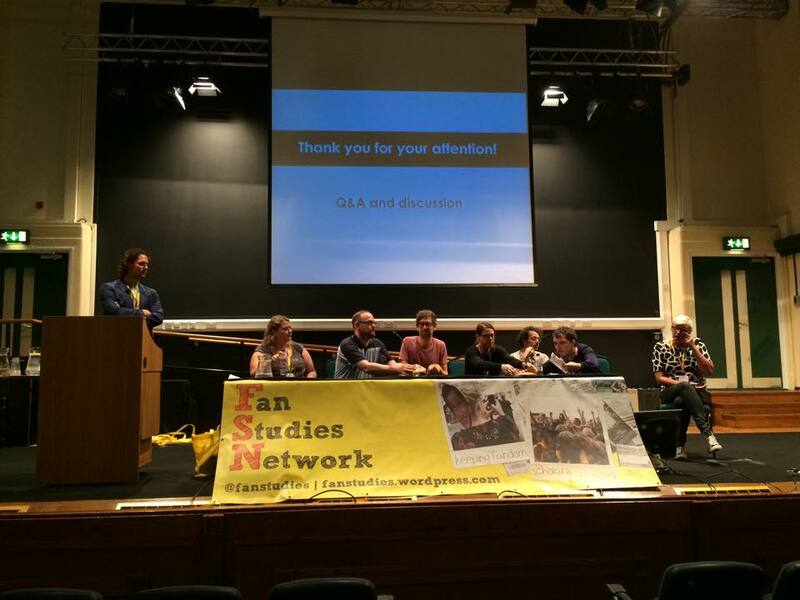 The event brought together a range of scholars of all levels, from undergraduates through to professors through to a Skype keynote from actor Orlando Jones talking about his own engagement with fans and academics. Several other participants have already blogged about the event at far more length than I suspect I have the energy to muster right now, so I really recommend you check out what Nicolle Lamerichs, Lori Morimoto and Emily Garside had to say about it. Ashgate panel. Pic by Linda Duits. 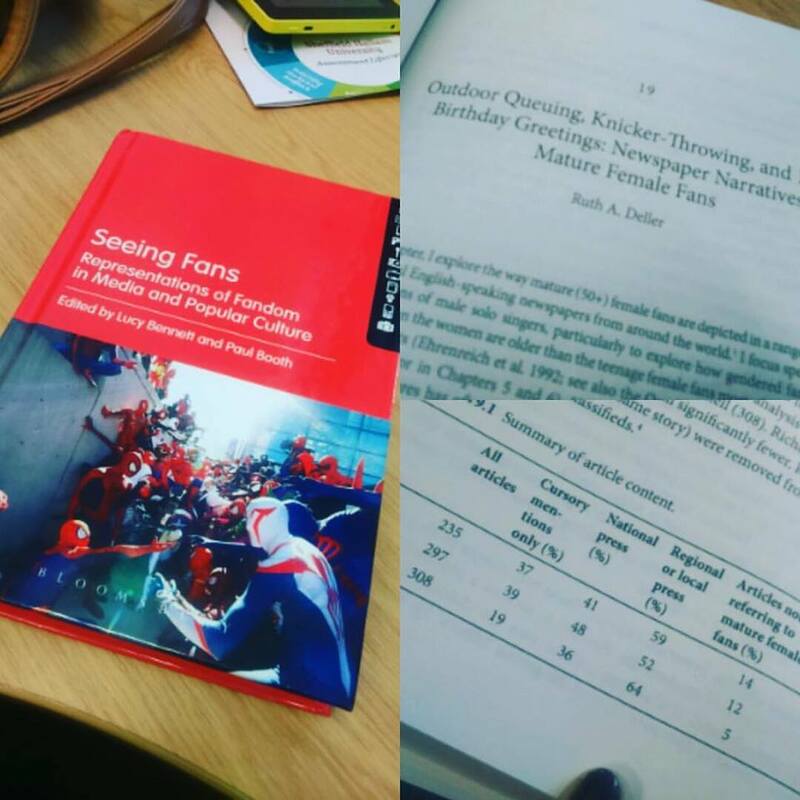 I was part of a panel of authors from the newly-released Ashgate Research Companion to Fan Cultures, where I shared a bit about my longitudinal work on online fan communities dedicated to Belle and Sebastian and Cliff Richard. I also presented some of the very preliminary findings of my Sims 4 pre-release survey – although with almost 800 surveys completed there is a lot to mine through there still! I heard a bunch of great papers over the weekend and missed out on even more fantastic-sounding ones (the difficulties of choice at conferences!). There was an emphasis on fandom and spaces, which was really interesting. I also loved the number of papers discussing fandom histories – from Lincoln Geraghty’s look at a history of conventions and programmes to Eva Hayes Gledhill’s fascinating comparison of 19th century scrapbooking and contemporary fandoms on Tumblr and Pinterest. It was great to see soap opera and music fandoms represented alongside the perhaps more expected cult media and TV drama. Sport was lacking a bit, though, and it would have been good to see something on club/dance cultures to see how those subcultural/clubcultural studies have come on (if at all?!) since last century. Inevitably, the white European nature of a lot of us meant that the papers weren’t as diverse as they could have been in terms of ethnicity and nationality – something that is maybe hard to avoid in a small conference held in the UK – but worth us acknowledging as a gap. Some of my favourite papers, however, were those that explored the intersections between ‘fans’ and ‘professionals’. Orlando Jones gave a fascinating keynote Q&A via Skype (which was much more glitchy than it ever is in films or adverts, funny that) about his experiences as an actor who fully embraces several social media platforms and engages very actively with fans, other celebrities and academics, engaging at times in his own fannish practices. He spoke passionately about the relationship between fans and stars – whilst also acknowledging the disconnect some of the big Hollywood studios have from their audiences. Sarah Ralph shared some of the findings from the broader Make Me Laugh project, which looks at British comedy. In her paper she shared extracts from interviews with comedy professionals about their own experiences of being comedy fans and the pleasures and pains of becoming professional in an arena you love. Ruth Foulis presented on YouTube stars and their engagement with their own fans, something I’m really interested in as I teach a Celebrity Culture module and the rise of YTers has been one of the most significant developments that I’ve seen in the four-five years of working on the module. I’m looking forward to reading all the articles, chapters and books that emerge from the projects represented at the conference.